Business transactions can feel rather impersonal. 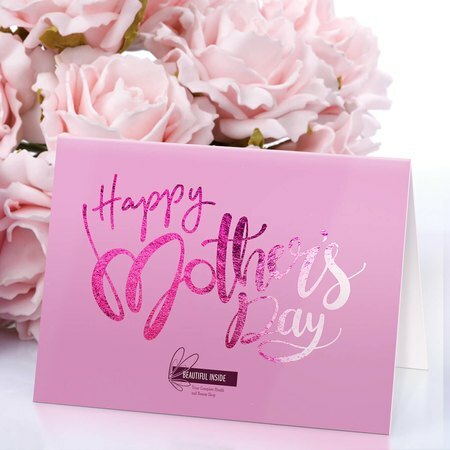 Bring a personal touch into your connections by printing and sending custom greeting cards. With a personalized message and an invitation to an enticing offer, you can let your customers know how much you value their business. When you want to make a good impression that lasts, send metallic folded greeting cards. Printed on a 16 pt. cardstock gloss, these custom greeting cards feature rich colors with glimmering metallic accents that stand out. A layer of silver foil makes regular colors appear more vibrant and shinier, perfect for capturing the attention of your customers. To make parts of your design stand out, you can choose spot uv to deepen the colors of your artwork. Our metallic greeting cards can be ordered with optional matching envelopes to make mailing a breeze. Although greeting cards are often used for personal messages, you can also use them to promote your business. Our metallic folded greeting cards come in different sizes that allow you to personalize your message to your heart’s content. The inside panel gives you more room to include special incentives like discount coupons for your customers, while the outside panel lets you prominently print your logo or tagline.